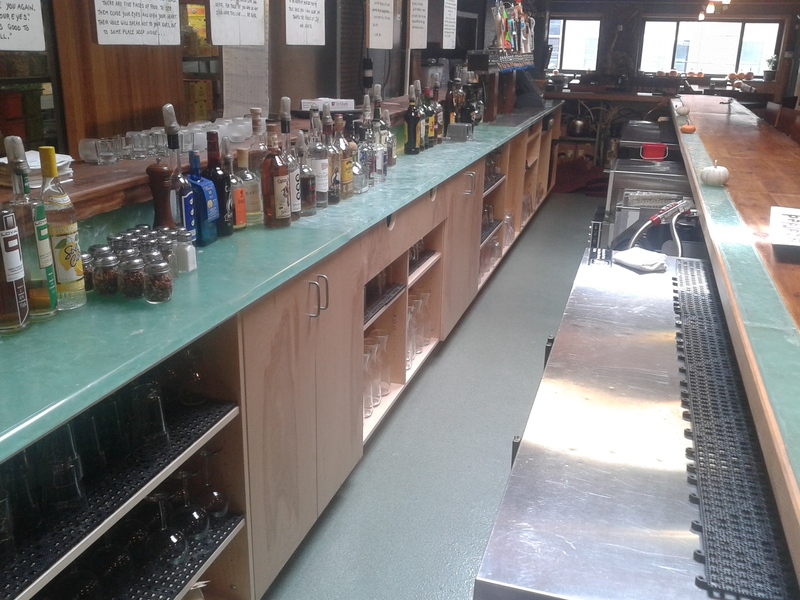 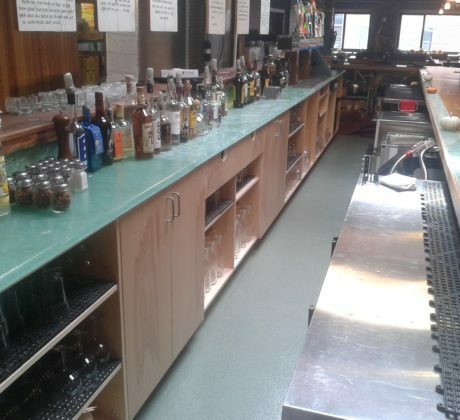 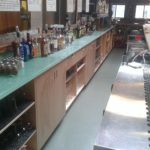 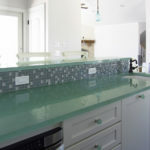 Nuovoglass is made from 100 % recycled glass, there are no binders or fillers. 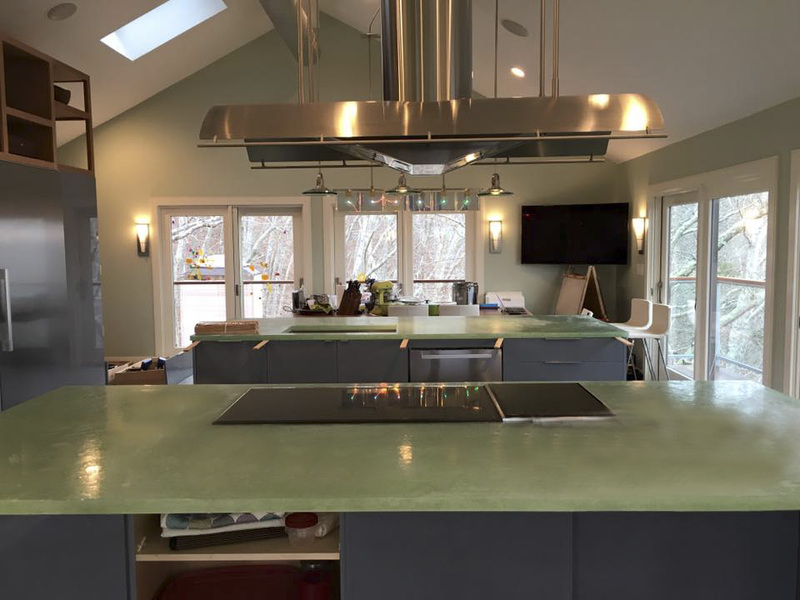 We use a heat fusing process that melts and joins the broken glass pieces together giving it a beautiful translucent appearance. 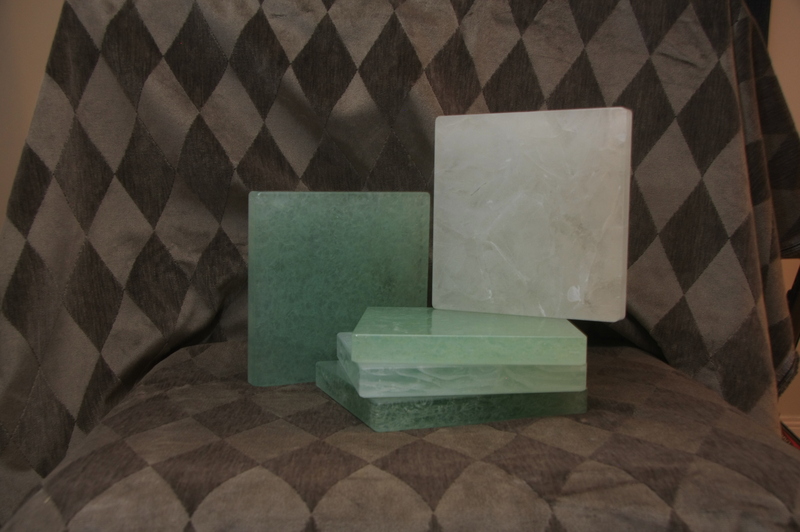 Nuovoglass comes in two basic styles: Jade and Seafoam. 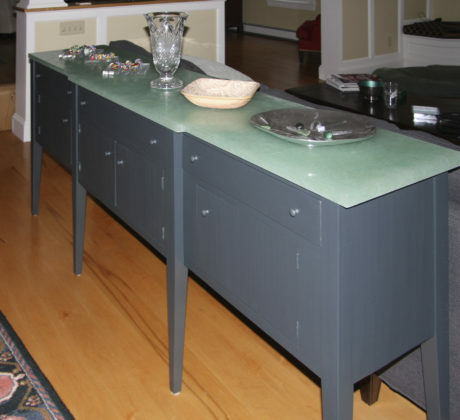 Jade is made from clear glass that gives it that unique green color. 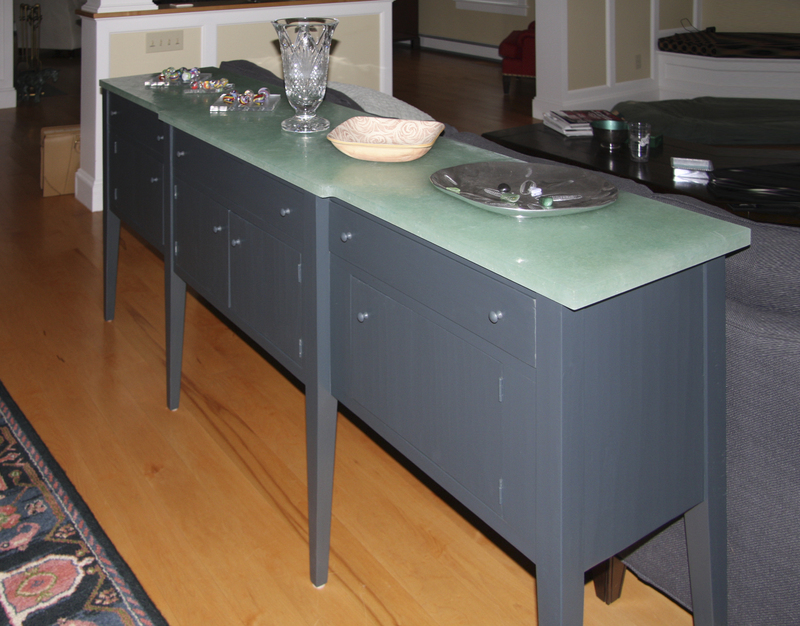 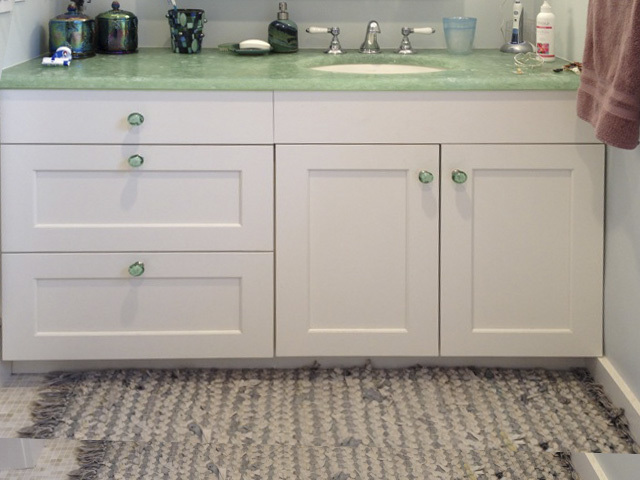 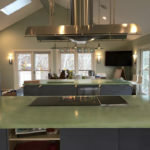 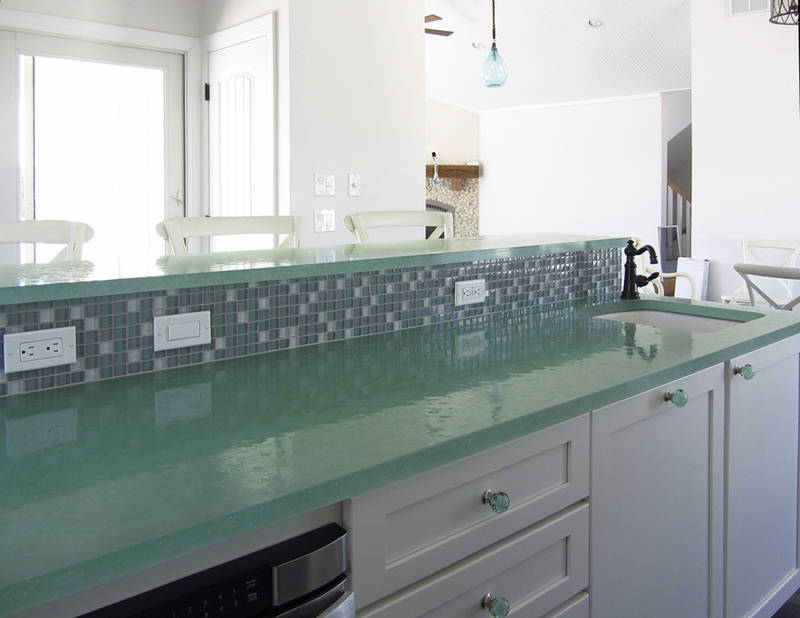 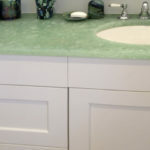 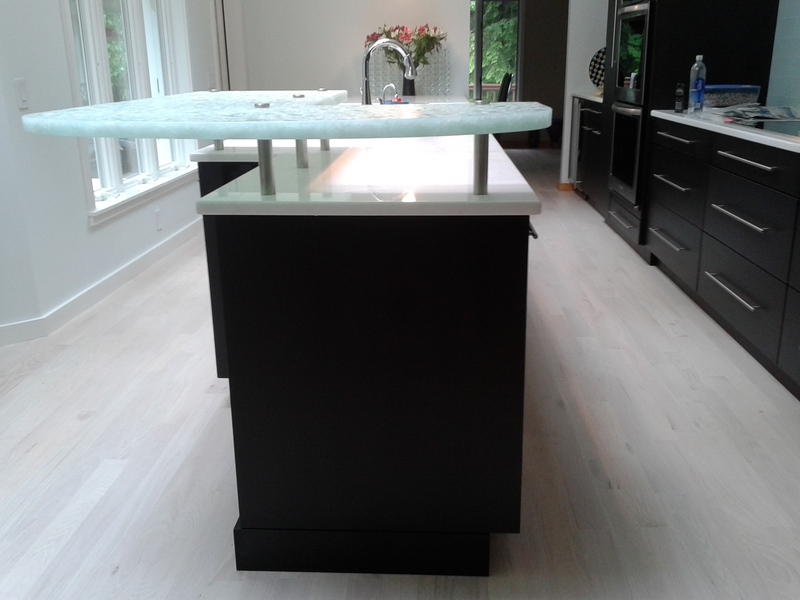 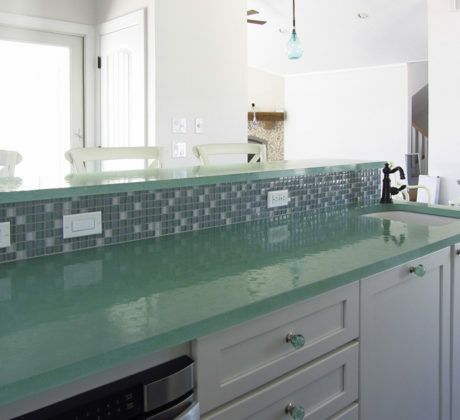 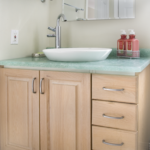 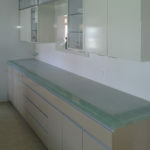 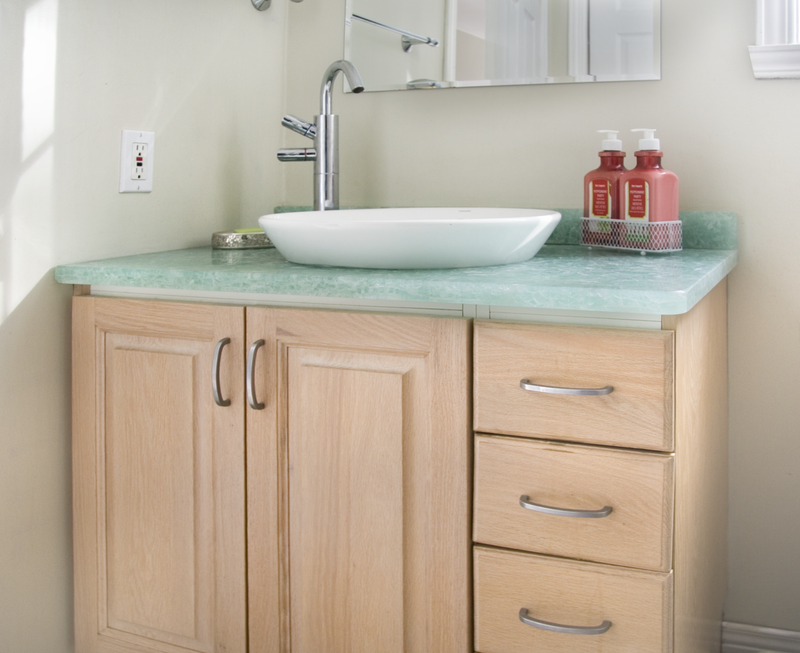 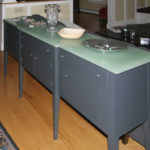 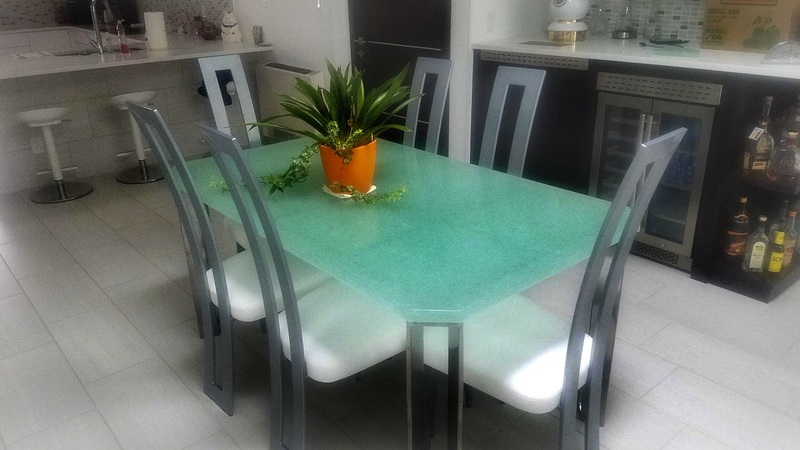 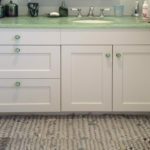 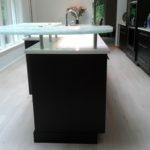 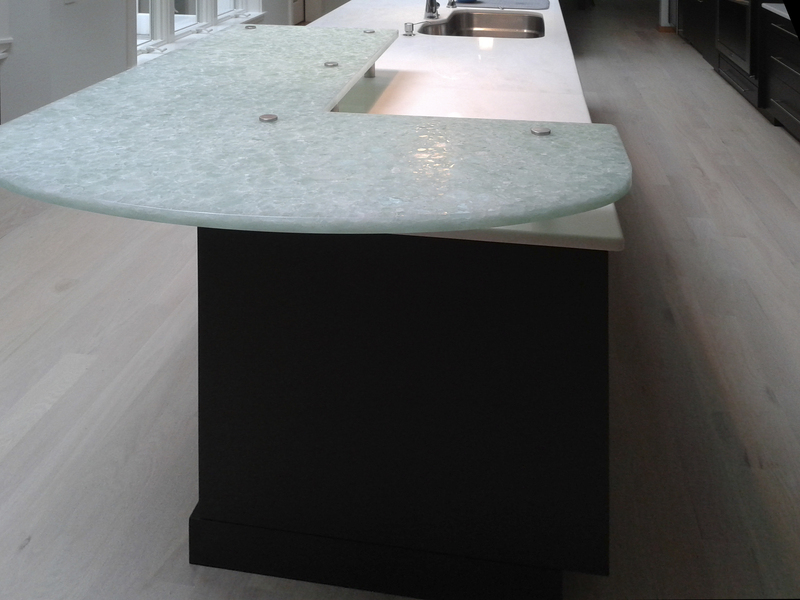 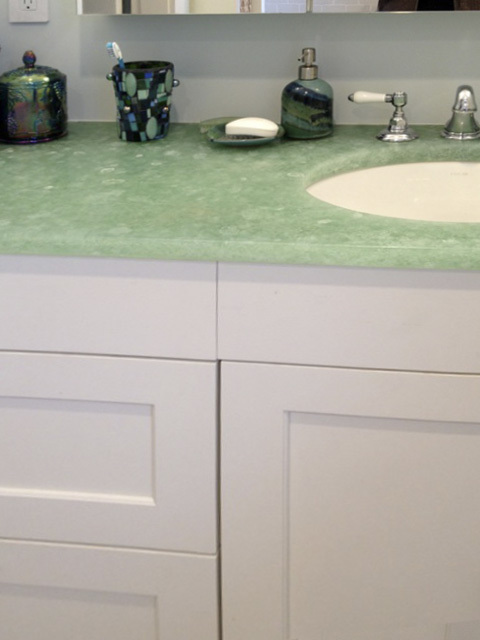 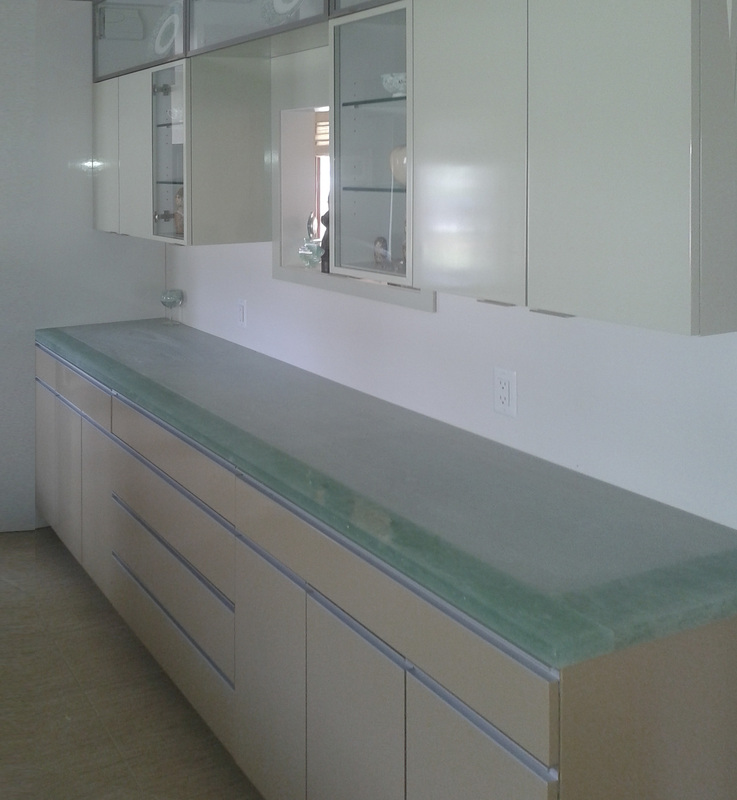 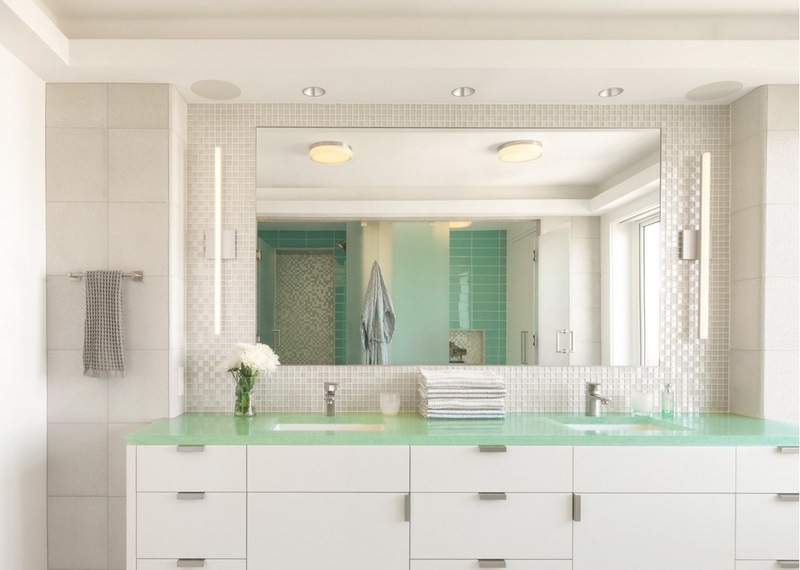 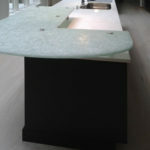 Seafoam is made from low iron glass which is whiter and clearer. 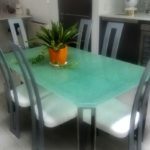 Because Nuovoglass is made from waste glass every piece is unique in appearance.